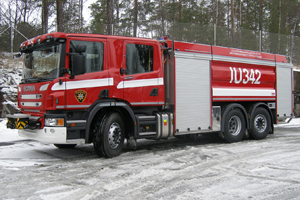 Saurus Combined Fire Engine / Tanker is a versatile Rescue Vehicle incorporating the features of a Fire Engine and a Tanker. Each combination vehicle is designed and built with best Finnish expertise. A combined fire engine/tanker is an emergency vehicle a fixed pump, a water tank of minimum capacity of 5,000 l, a crew cabin for min 1+3, and equipment for firefighting, heavy rescue operations and hazardous materials prevention. 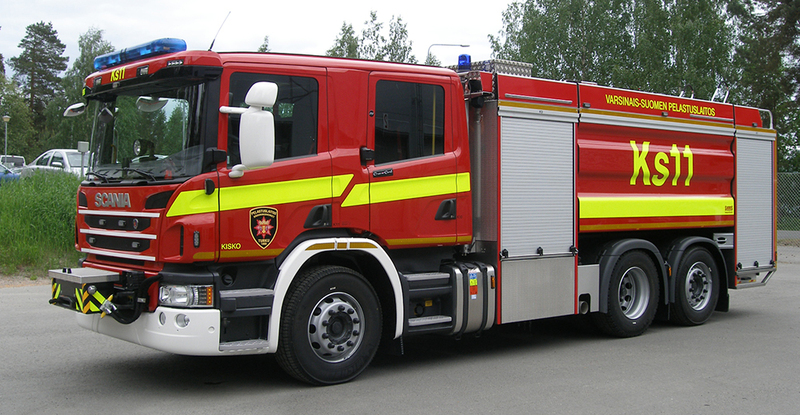 A combined fire engine and tanker may be furnished solely for firefighting or heavy rescue operations.